Serving the Dental Needs of New Smyrna Beach, Edgewater, Port Orange, Oak Hill, Samsula, Daytona, Deltona and Ormond Families. 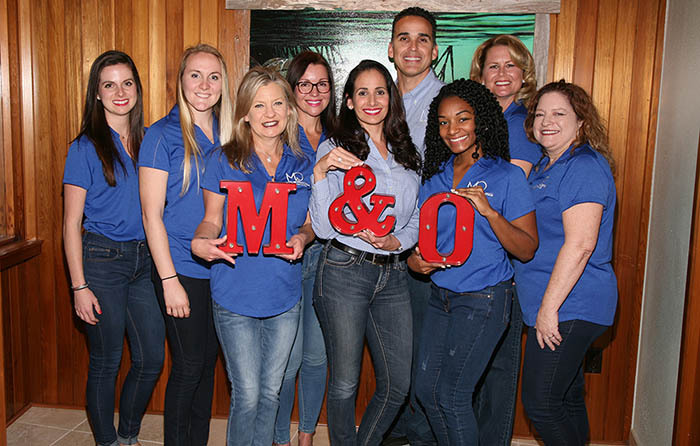 At Miranda & Ortega Dental Group our goal is to deliver the highest quality dental care available in a professional stress-free environment for your entire family. 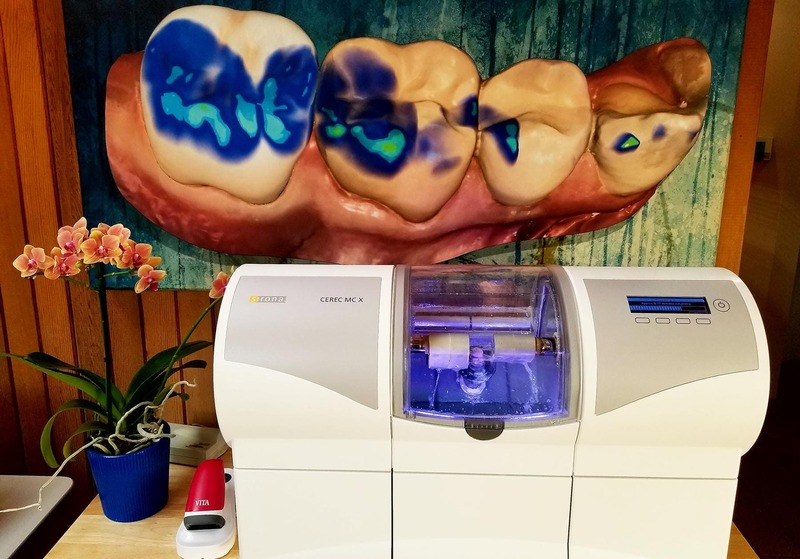 Our state of the art dental technology and experienced dental team will ensure you are comfortable and well cared for during your visit. From routine family dentistry advanced cosmetic dentistry, dental implants and orthodontics, all of your family’s dental needs are taken care of here in one convenient location. 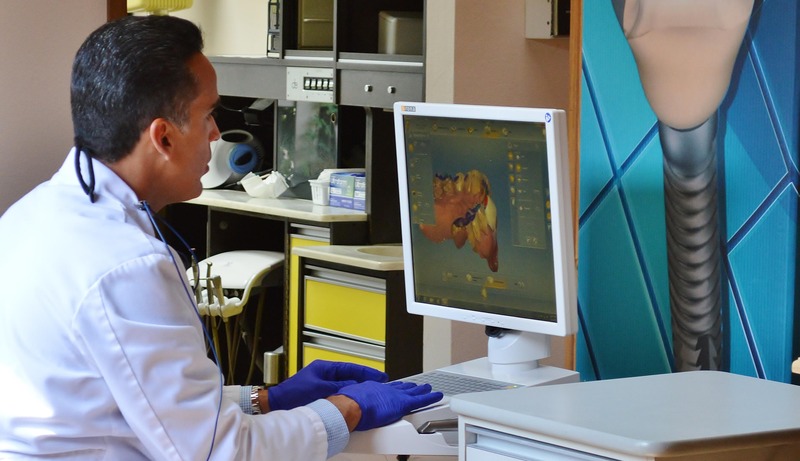 Our Dentist, Dr. Alejandro Miranda-Knapp and Dr. Jacqueline Ortega are highly respected in the community and are well known for their fine dentistry. They continually dedicate themselves to advancing their knowledge and expertise in all relevant areas of dental care, nutrition, and general health care in order to ensure the highest quality of care to their patients. Their goal is to help patients achieve optimal oral health, function, and a beautiful smile that will last a life time. We invite you to email or call our office with any dental questions or to request a dental appointment. This section of educational videos is for patients to gain a greater understanding of clinical conditions and treatment options available today, to help them make the best informed decisions regarding their individual needs. Dr. Miranda’s office is professional from start to finish. The front desk staff are thorough and welcoming. There are no surprises on cost and you are always given a treatment plan with prices. Sondra is a master hygienist. She is friendly and makes you feel comfortable in the chair. She is diligent in pain free cleaning. Dr. Miranda has a soft touch and has a mastery for dentistry. We are referring our family members to this wonderful practice. I have a few medical difficulties and anxiety sets in with my office visits. But today my cleaning withSondra went great! I want to thank her for the patience and kindness in her work with me today!! The entire office is always a caring place!! Terrific experience. Best I'd had in years with dentist and hygienist.Great place, nice office, all good people, friendly and caring. My teeth were bruised and broken. Drs. Miranda and Ortega have given then new life. On a painless journey to the perfect smile. If you need Dentists you can trust....this is the place for you. Painless Perfection. Their expertise at dentistry and good friendly office staff. The best. Very talented and experienced. I love Dr Miranda and his wife, Dr Ortega. I wouldn’t go anywhere else. highly recommend this dental group. they are so very nice and use all the latest technology. they can make a crown in one visit and strive and succeed to make your visit pleasant and pain free. best dental office i have ever been a patient in. I had a dental emergency and was treated like a long-time patient. Staff was courteous, helpful and welcoming. The Dentist was very professional and experienced. I had an emergency as one of my front teeth had broken off, I was quickly given an emergency appointment and when I arrived I was greeted with open arms. I saw the doctors, they gave me my options and when I decided they went to work. They were amazing for accommodating me on such a busy day. I left the office with a new front tooth that matched perfectly. Their equipment is state of the art and knowledge is incomparable. I recently moved here from New York and had not yet acquired a new dentist. Needless to say I have found my dentist. I will recommend this office to everyone. I had need to see them due to a tooth problem and I didn't have a scheduled appointment. The took me in right away no questions asked--super staff and Doctors. The entire staff at Miranda and Ortega Dental Group is phenomenal!! We look forward to our checkups. I can't say enough kind things about Miranda and Ortega Dental Group. They have removed the stereotypical fear of dentistry. They are so professional, yet make you feel like family. I have had 3 wisdom teeth pulled. The first 2 were a nightmare (done by another dentist). So when Alex told me he was going to pull the 3rd without putting me under, I was terrified. My fear lasted longer than him actually pulling it out. I was amazed how simple and pain free it was. I would recommend them to anyone looking for a new practice. In fact, I made my boyfriend switch to them, as he complained about his previous dentist and would continually postpone work he needed done. Definitely give them your business if you are looking!! We moved to Florida about 5 years ago. Initially, we went to a mass market dental group where we saw a different dentist every visit. It was not acceptable. Miranda and Ortega were recommended by a neighbor. After 3 years we couldn't be more pleased. They make us feel like we are their most important patients. They really care about the work they do and have invested in cutting edge technology. We highly recommend them. The whole experience was great, everyone is very friendly. Dr. Miranda and his staff are very professional and friendly with up to date technology, my crown was done in a few hours didn't have to go through getting a temporary and missing more work to go back to have the perminate one put on. Great experience!!! great staff, caring doctors, excellent service. i have been going for years and will continue. i highly recommend them. Staff very professional friendly been a customer from day one never thought about going any where else doc is very through very impressed. The entire staff is always professional, friendly and technically capable. I look forward to my regular visits and catching up on the latest news from the staff. I get great care at the office. Excellent health care providers...caring and patient. Wonderful staff from front desk to the various assistants & technicians. What was originally diagnosed as a tooth needing a crown, on the day of the procedure it was discovered that enflamed gums was the source of discomfort. No crown, just deep cleanings & antiseptic rinses were in order. Done--and at a fraction of original estimated cost! It's obvious that accurate patient care is priority in this office!! Front office staff are so friendly and informative...every question and concern answered professionally and with courtesy. It also looks like a great place to work! Their patient is my Mom who is a senior of 89 years with severe vision impairment. Entire staff treated her with kindness and respect. We have found a wonderful dental office. The best staff and doctors around for the care of my teeth! By far the best dentist around! Won't rip you off like some of the others! Dr Miranda/Ortega's office procedures are outstanding and this is comparing their office with the many different dental offices my husband and I have gone to due to living in several cities. My husband had a range of services from cleaning, scaling, new and replacement fillings and he couldn't have asked for better care. But, the icing on the cake was having a wisdom tooth pulled. He was nervous about the process since his previous experience was "painful and difficult". Dr. Miranda gave him his assurances on a painless process....and he did it. As a matter of fact, my husband asked to "see the tooth" to make sure he actually had taken it out.I have not had as much dental work done as my husband, but what I have had done, cleanings and a few replacement fillings have been 5 star all the way. Both Dr. Miranda and Dr.Ortega know I am nervous over the smallest filling and have always been able to calm me down and everything has been painless - even giving the needle to numb the area. Honestly, I don't get upset now when I have a dental appointment - whether it be just a cleaning or filling. Also if we have had a conflict come up in regard to an appointment, the staff goes out of their way to accommodate us. Both Dr. Miranda and Dr. Ortega have certainly made going to the dentist a good experience, rather than a hurtful, frightening one.We have recommended the office to several people - and all have said the very same thing. "Excellent dentists - excellent staff - all very caring"
Fantastic care and very professional... Highly recommended practice! The staff is highly professional and both doctors strive on keeping everything painless! I highly recommend them to anyone looking for a great dentist office! Dr Miranda is my all time favorite dentist! Where else can you watch squirrel antics at their feeders while getting a "painless" crown. Such fun! We are devoted to restoring and enhancing the natural beauty, function, and stability of your smile using conservative, state-of-the-art procedures.